At the fifth community meeting, the Veirs Mill team introduced the consultant Kittelson & Associates, Inc., a national transportation engineering and planning consultant with offices in Baltimore and Washington, DC, who was hired by the Planning Department to identify multimodal safety challenges along the Veirs Mill Road corridor for pedestrians and bicyclists, and develop short- and long-term strategies to address these challenges. The Kittelson & Associates team then presented their findings to the community. This was followed by feedback from the community on the challenges and solutions identified by the consultant. 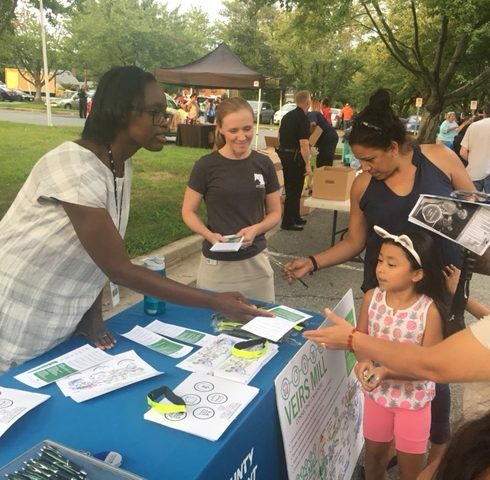 At the fourth community meeting, residents and interested community members were invited to provide feedback on initial ideas to improve pedestrian and bicycle safety and connectivity, increase access to transit and community facilities, and improve the streetscape on Veirs Mill Road. 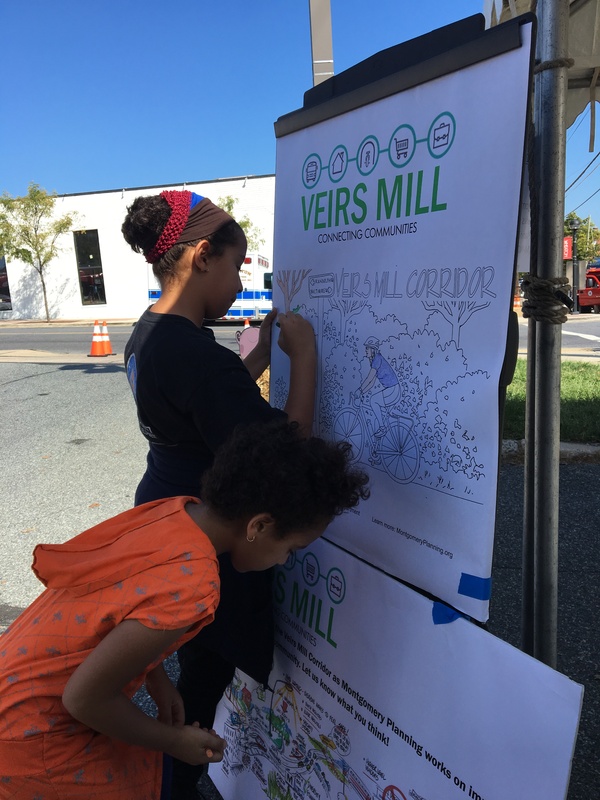 The Veirs Mill team shared their initial ideas to implement near-term and long-term improvements on Veirs Mill Road. 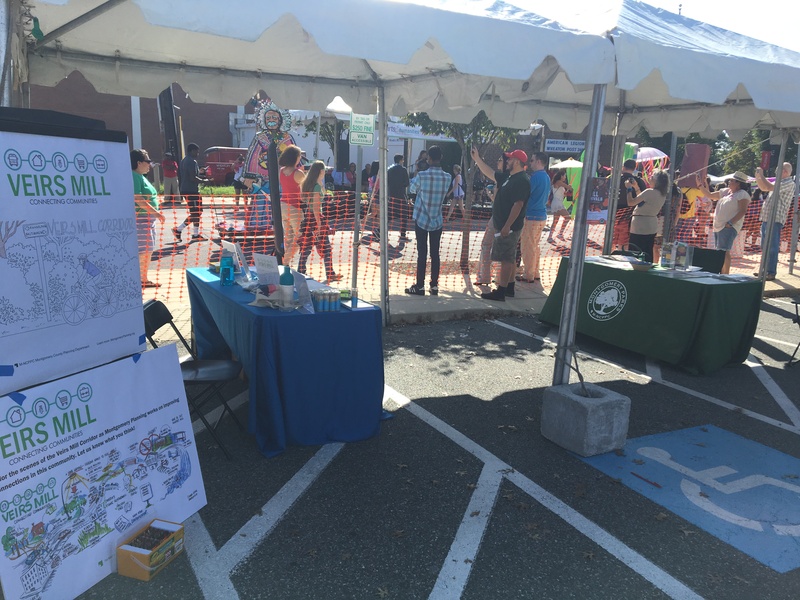 These initial ideas, which include improved sidewalks, bicycle paths, and improved crossings seek to integrate community feedback to date, as well as preliminary recommendations of the Bicycle Master Plan and the County’s Vision Zero Policy. 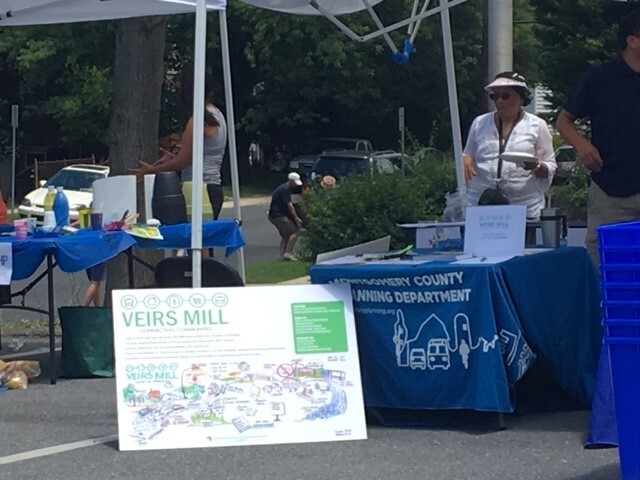 The Veirs Mill Corridor Master Plan team attended the first annual Wheaton Arts Parade and Festival and met community residents. 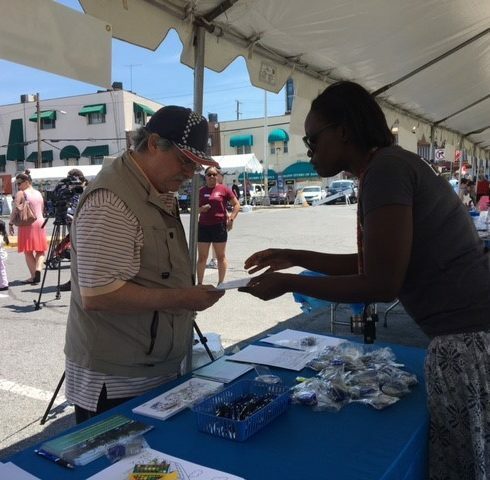 The conversations shared with community residents during this event, like the other events attended by the team are helping to shape the vision of the plan and inform the development of preliminary recommendations. 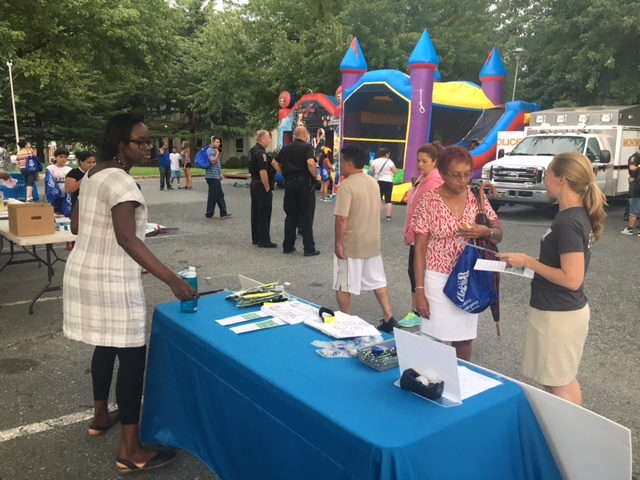 The Veirs Mill Corridor Master Plan team joined residents and local organizations on National Night Out, an annual event sponsored by the local police district to celebrate neighborhood camaraderie and enhance police and community relations. 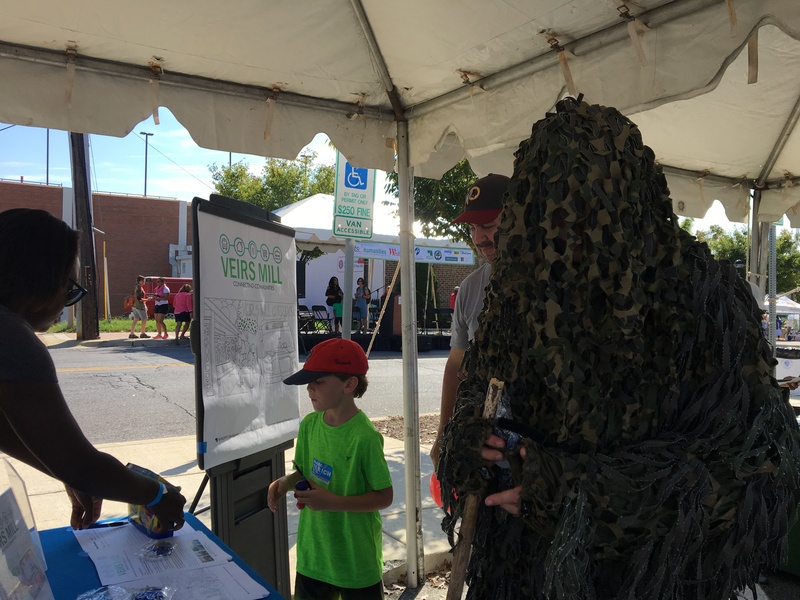 Attendees at the event shared the strengths, opportunities and challenges in the neighborhoods adjacent to Veirs Mill Road. This event was well attended by the Hispanic and Latino community, a prevalent demographic in the plan area. The Veirs Mill Corridor Master Plan team shared information about the master plan with seniors at the Holiday Park Multiservice Senior Center. The seniors were able to share some of their concerns and needs along the corridor. Overall, they were quite happy with the center and the services provided and view the center as a key asset within the plan area. The center, like the churches, attracts seniors from all over the county. 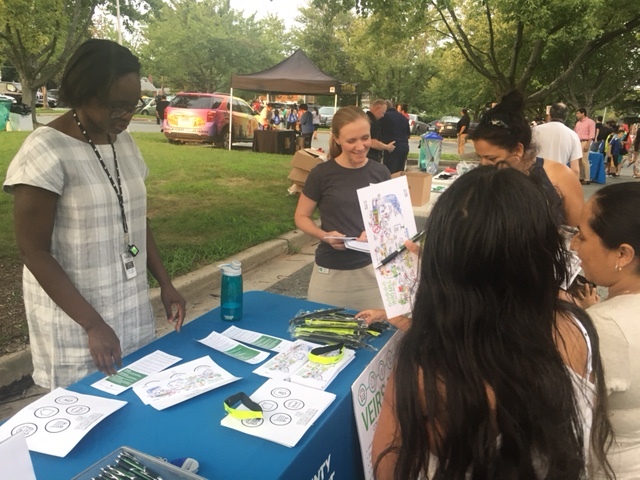 The Veirs Mill team attended the TGIF Wheaton Summer Concert on July 14, 2017, a concert series organized by the Wheaton Urban District and sponsored by Westfield Wheaton. 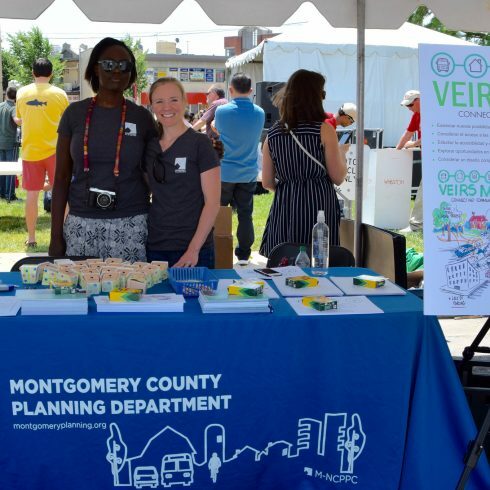 The team attended the event to notify the community about the Veirs Mill Corridor Master Plan and receive feedback about opportunities and concerns within the plan area. 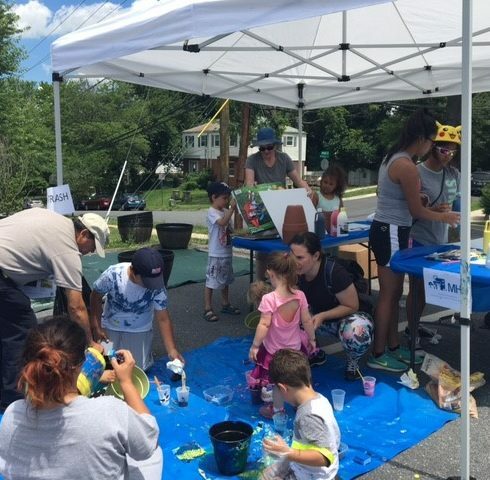 The Veirs Mill Corridor Master Plan team attended the summer carnival held at the church. 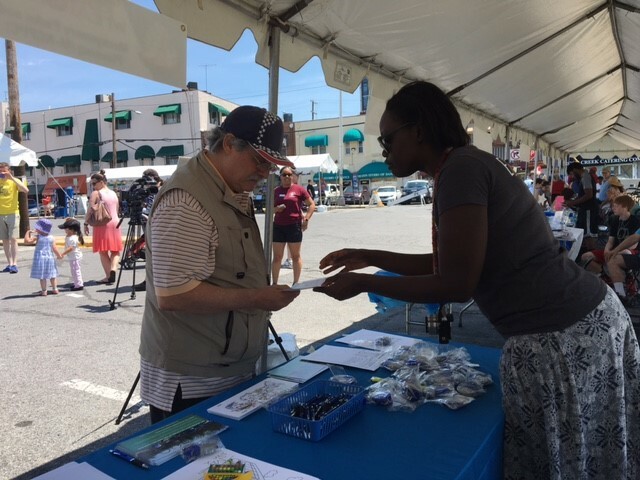 The Carnival was held on a Saturday, and as a result the team met many congregates of the Fellowship Baptist Church (African American) who hold their services on Saturdays. 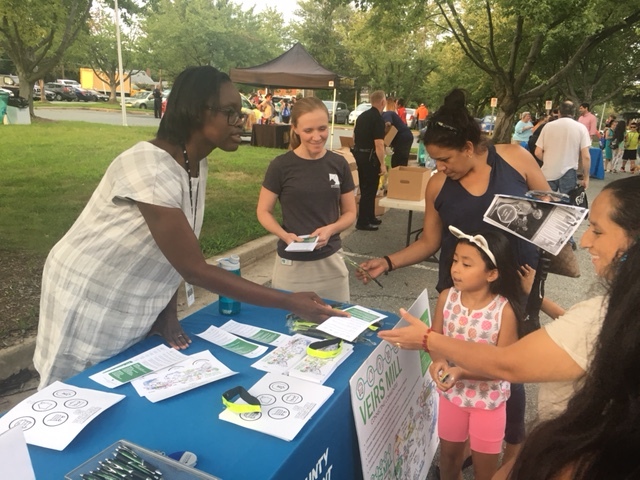 The team also met families from the neighborhood, and spoke to attendees about the strengths, opportunities and challenges in the neighborhoods adjacent to Veirs Mill Road. There was evidence that some congregant families did not live in the plan boundary or its vicinity. The Veirs Mill Corridor Master Plan team met with the Pastors of the Viers Mill Baptist and Iglesia Bautista Hispana Viers Mill (Spanish). These are two of the four congregations which make up the “Viers Mill Baptist Church”. The other two are Montgomery Chinese Baptist church (Chinese) and Fellowship Baptist Church (African American). Staff met with these churches to encourage their congregants to participate in the master plan process. The Pastors explained how unique their churches are and how their congregants come from all over the region. They also shared some of their concerns with the corridor, including pedestrian and bicycle safety, challenging intersections in the plan area; and locations where sidewalks are needed. 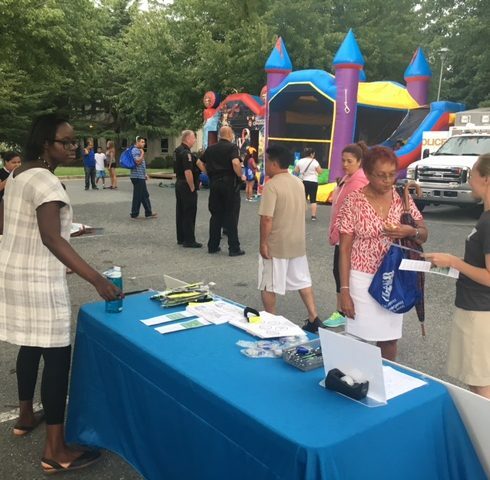 The Pastors encouraged staff to attend events like the Viers Mill Baptist Church Summer Carnival and National Night Out, events which are well attended by their congregants. The team was delighted to speak to long term members of the community who have seen how the corridor has changed over the years. 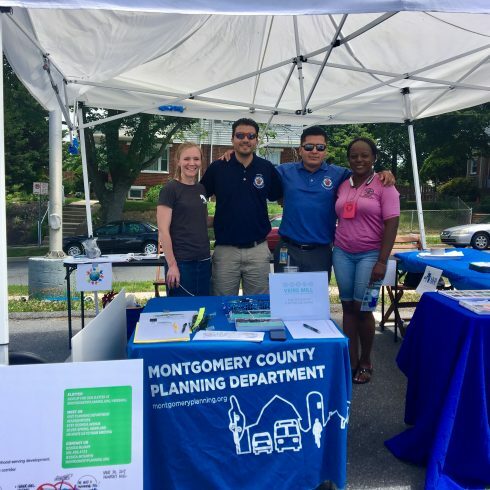 On June 25, 2017, the Veirs Mill Corridor Master Plan team participated in a neighborhood event sponsored by Montgomery Housing Partnership and the Connecticut Avenue Estates, Glenmont Forest and Wheaton Hills Civic Associations. 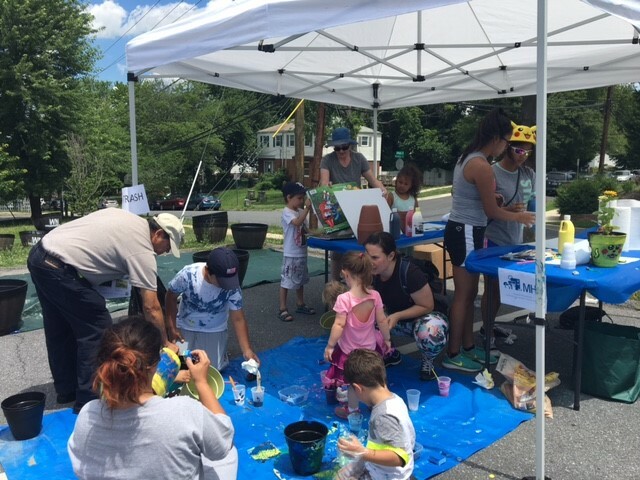 The event, Blooming the Neighborhood, was held at Highland Elementary School and attracted several neighborhood residents with information for adults and activities for children. The team discussed the plan with participants and learned about issues, concerns, and opportunities within the community. 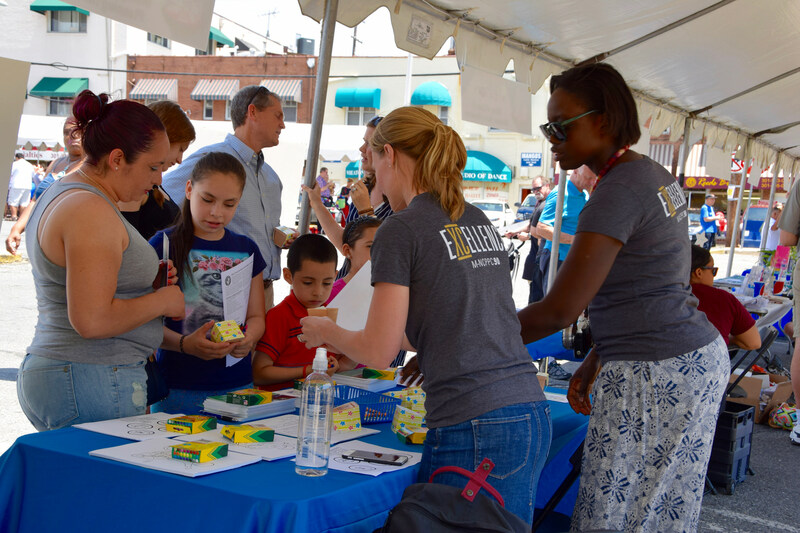 The Veirs Mill Corridor Master Plan Team participated in the Taste of Wheaton, which highlights the diverse restaurants in downtown Wheaton. 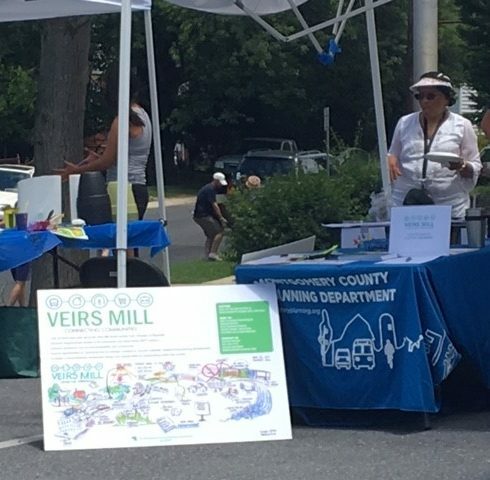 The Veirs Mill team shared information about the master plan and had meaningful discussions about the issues and opportunities that exists along the corridor; including pedestrian and bicycle safety; connectivity; access to transit and community facilities; and improvements to the streetscape on Veirs Mill Road. 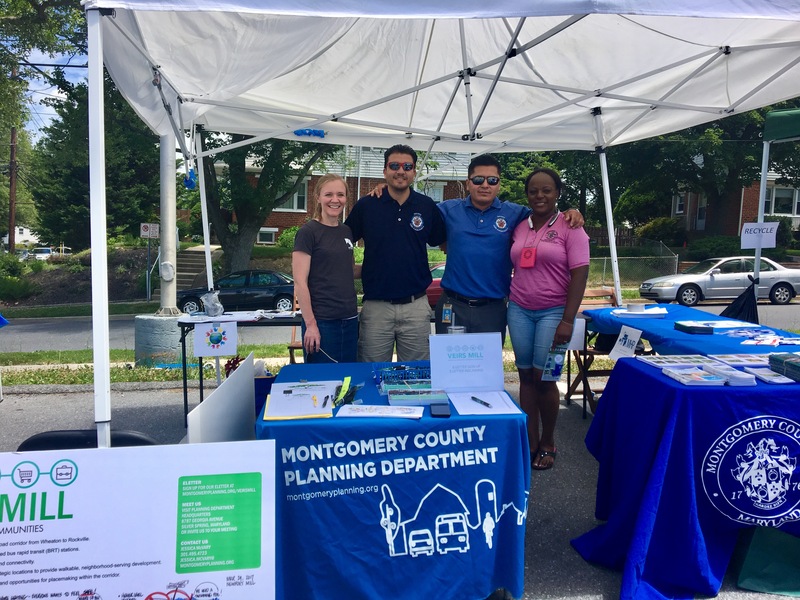 During this event, staff appreciated meeting community members and speaking about the future of the neighborhoods adjacent to Veirs Mill Road. At the third community meeting, the community was invited to learn about the county’s recreational facility development, existing recreational programs and planned facilities, and process for the disposition of public property (this was presented by County agencies including the Departments of Recreation, Parks and General Services). The community also received an overview of the history and potential future redevelopment of the Halpine View apartments located along Twinbrook Parkway, which was presented by representatives of the Halpine View property owners. The topics discussed during the third community meeting were based on feedback received during the second community meeting. 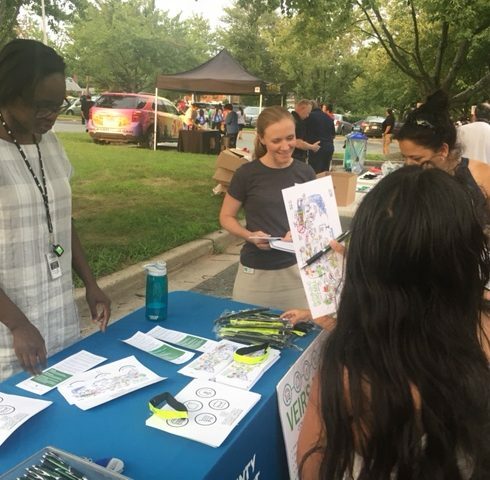 For the master plan to reach the wider ethnically diverse communities, staff organized an informal event at the Stoneymill Square Shopping Center at the intersection of Veirs Mill and Randolph Road. 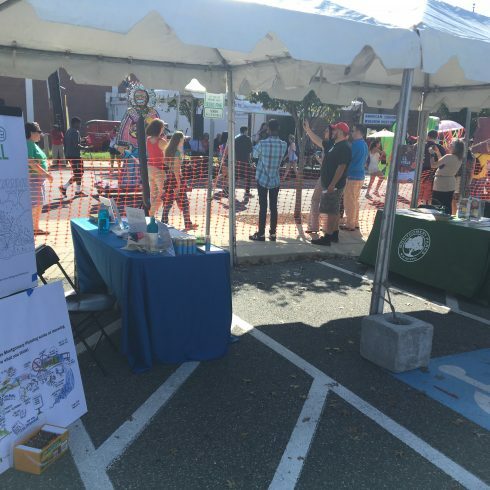 Staff shared information about the master plan to passersby at this event and had meaningful discussions about the issues and opportunities that exists along the corridor; including pedestrian and bicycle safety; connectivity; access to transit and community facilities; and improvements to the streetscape on Veirs Mill Road. Many of the people with whom staff communicated during this event were of Hispanic or Latino origins and Asian origin. 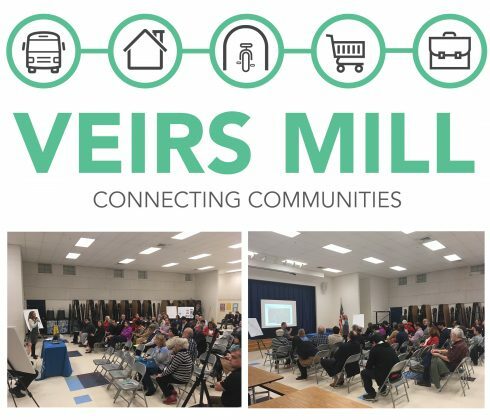 At the second community meeting, the Veirs Mill Corridor Master Plan team, held a visioning workshop with the community. The workshop was attended by approximately 30 community residents and business owners. The participants shared their ideas and concerns with the team. Among the attendees was Montgomery County Councilmember Sidney Katz (District 3). The discussions at this event focused on: identification of strengths, weaknesses, opportunities and threats within the Veirs Mill Corridor Master Plan area; identification of the community focal points (i.e. parks, schools, civic uses, churches); and discussion of pedestrian, bike and car connections to community focal points. 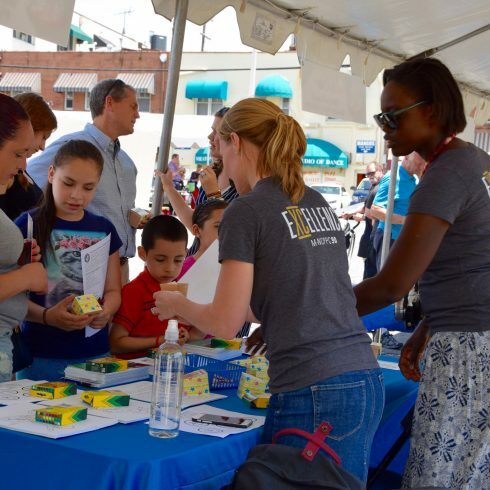 During the event, participants were divided into breakout groups which focused on specific topics, including transportation, community facilities, retail, neighborhood character, housing and the future of the area. Each group was encouraged to discuss the strengths and opportunities of each topic area. When the participants reconvened as a large group, a graphic artist illustrated the ideas from the community, capturing the need for inviting streetscapes, pedestrian and bicycle infrastructure, lighting, roadway maintenance, youth and recreational facilities, amenities at bus stops and other improvements. Several attendees expressed their approval of this innovative new process, with one noting that she “felt heard” during the meeting as her ideas were recorded. The illustration noting the community’s comments became one of the key images of the consultation process and has since been used by the team to promote the master plan. 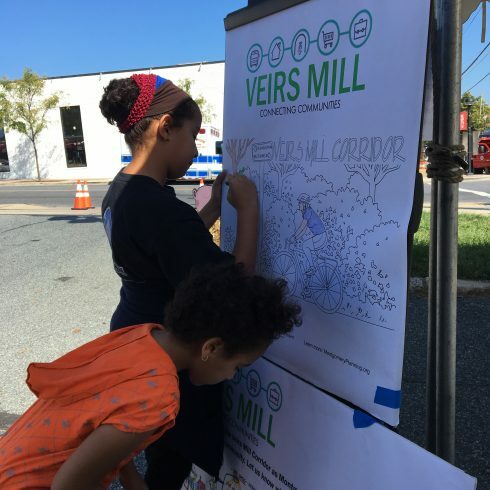 At the March 29 community meeting, attendees’ thoughts and ideas were captured in a graphic recording to help illustrate the communities’ vision for the future of the Veirs Mill Corridor. Click the image to expand. 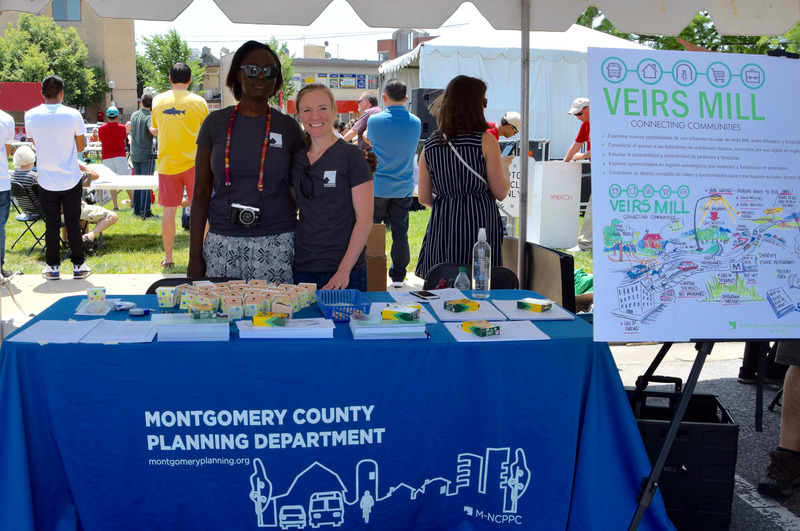 At the first community meeting, the Veirs Mill Corridor Master Plan team provided a presentation about the master plan process, the purpose of the Veirs Mill Corridor master plan and summarized the existing conditions in the plan area. 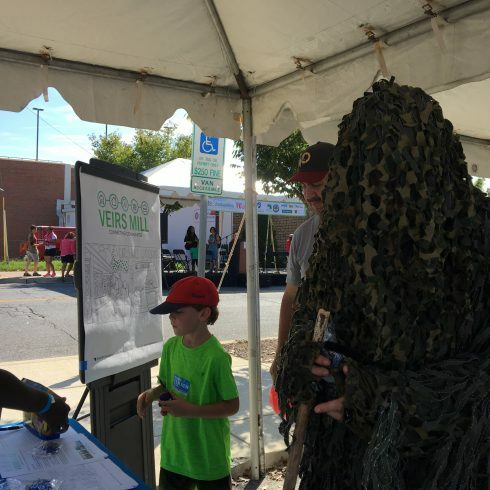 Participants questioned the need for the future BRT system along Veirs Mill Road and how it might affect parking and the demand for development in the area. This event was attended by approximately 40 residents and stakeholders. View the staff presentation from the February 22, 2017 kickoff meeting.